The leader of the Shi’ite sector in Lebanon, Musa al-Sadr, mysteriously disappeared in Libya in the 1970s. A new book claims that the imam, who did not fit into the agenda of the Iranian revolutionary leaders, was killed by Muammar Gaddafi at the Ayatollah Khomeini’s instruction. The Sunni Saudi Arabian kingdom has never been so determined and active in the struggle against Iran and the Shiite world as it is these days. In early 2016, Saudi Arabia executed Shi’ite Sheikh Nimr Baqir al-Nimr and cut diplomatic relations with Iran, and the conflict between the two sides has only gotten worse since then. Saudi Arabia has recently pulled out a powerful propaganda tool, one that could possibly bring about the dismantling of Hezbollah: The affair surrounding the disappearance of the Imam Musa al-Sadr, the leader of Lebanon’s Shi’ite population, while he was in Libya in 1978. The Shi’ite genie the Saudis just let out of the bottle has been buried for a while. 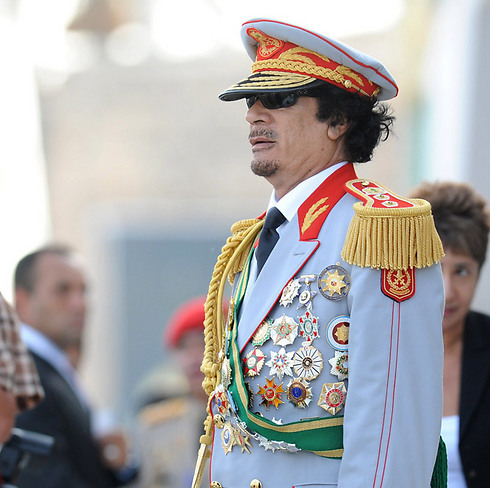 The question of his fate was raised again when Muammar Gaddafi’s regime fell, but certain actors made sure to obscure any answers. Does this new information have the power to topple Hezbollah? The improvement in the living standards and social status of Shi’ites in Lebanon in the 1960s is mainly due to one man – Musa al-Sadr. He’s the one who managed to get roads leading to Shi’ite villages in south Lebanon paved and to get the villages hooked up to electricity and running water. Al-Sadr is an Iranian religious cleric of Lebanese descent who studied in the Shi’ite holy cities of Qom, Iran and Najaf, Iraq, arriving in Lebanon in the late 1950s. Al-Sadr, a charismatic man with a lineage that reaches all the way back to the prophet Muhammad himself and the later Shi’ite imams, managed to promote the interests of the Lebanon’s Shi’ites, who had been at the bottom of Lebanese society. He founded bodies that represented them politically and socially, led by the Supreme Islamic Shi’ite Council. Al-Sadr promoted the Shi’ites’ representation in parliament, took care to achieve government assistance to improve their material situation, and turned them into an influential political force. Al-Sadr started a hunger strike during the Lebanese Civil War in 1975, demanding that the killing stop. But the deterioration in Lebanon brought him to the decision of establishing a military body to protect the Shi’ite sector – the Amal Movement. The huge change he affected in Lebanese Shi’ites’ lives brought him great admiration, and led to him being given the mystical Shi’ite title of Imam. The 1970s saw al-Sadr attract increasing numbers of critics. According to his detractors, he neglected to criticize Israel and repeatedly blamed Fatah for using south Lebanese Shi’ite villages to combat the Jewish state. The Shi’ites paid the largest price for the Fatah’s activities and the IDF’s retaliations. It’s no wonder the area’s Shi’ite population was overjoyed when the IDF entered south Lebanon and drove out Fatah. 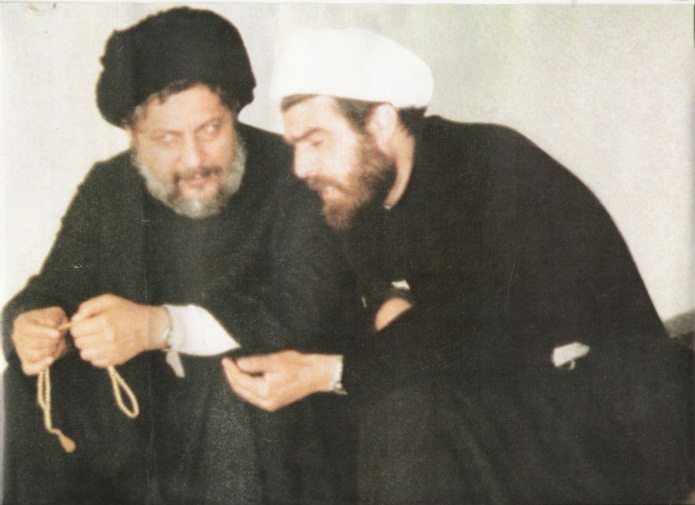 Even though al-Sadr also opposed Israel, he never called for the Shi’ites to unite in a war against it, and disagreed with Fadlallah’s idea of establishing Islamic clerical rule in Lebanon. Is Khomeini behind his murder? Al-Sadr traveled to meet different Arab leaders in the 1970s in order to gather support for his demographic. Syrian President Hafez al-Assad, whose military invaded Lebanon in 1976, gave the Amal Movement his sponsorship. In 1978, al-Sadr arrived in Libya, where he hoped to speak with its leader Muammar Gaddafi, who had his hand in the Lebanese Civil War. He disappeared there and hasn’t been seen or heard from since. The assumption is that he was kidnapped, and probably murdered in a Lebanese jail. The reason for the murder of the most important Shi’ite leader in Lebanon remains a mystery to this day. Who had an interest in his death? Is it a coincidence that Muda al-Sadr was murdered a year before Iran’s Islamic Revolution? At the time of his disappearance there was a strong relationship between Gaddafi, who opposed the Shah, and the revolutionaries. Gaddafi even supported the revolution after al-Sadr’s (presumed) murder, and later backed Iran in its war with Iraq. 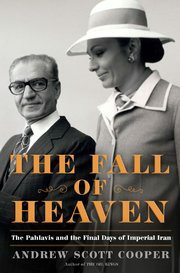 A book recently published by American researcher Dr. Andrew Cooper of Columbia University concludes that Musa al-Sadr had secret contacts with Iranian Shah Mohammad Reza Pahlavi, and that al-Sadr both opposed the idea of a violent Iranian revolution and that of the rule of Islamic clerics (“Wilayat al-Faqih”). In addition, al-Sadr found Ayatollah Khomeini’s personality at least somewhat disagreeable, even though their families were related by marriage. The shah had planned on al-Sadr’s assistance in managing the burden of negotiating and compromising with the religious opposition. 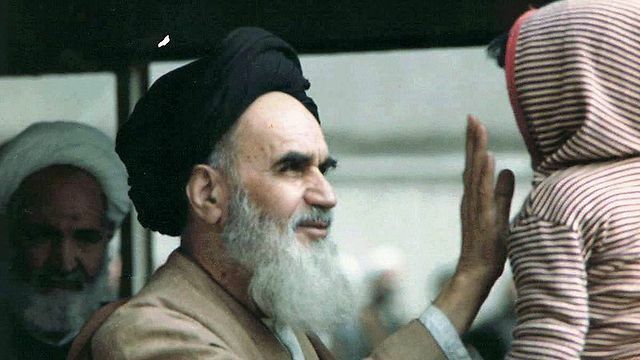 According to the book, Khomeini’s associates wanted to prevent these talks at any cost. While al-Sadr was visiting Libya, they asked Gaddafi to get rid of the “traitor.” The request to take out al-Sadr came from Khomeini and was carried out by Gaddafi. These revelations were quoted last month by newspapers across the Sunni world, particularly in the Saudi media. The link between Khomeini and al-Sadr’s murder was confirmed by the anti-Iranian regime journalist Alireza Nourizadeh in an interview he gave to the Saudi Al-Arabiya network. According to Nourizadeh, who is based in the UK, Khomeini’s associates committed to get rid of al-Sadr because of his opposition to their path and his willingness to put up with the Shah, thus threatening the Islamic Revolution. Nourizadeh also claimed that the proof of this accusation lies in the fact that after Khomeini came to power, Iran did nothing to investigate al-Sadr’s disappearance and continued to maintain good relations with Libya while in full knowledge of the Imam’s kidnapping. Iran named one of the main streets in Tehran after the murdered former president of Egypt, Anwar Sadar. Why did they not go to the effort of naming one after a Shi’ite community leader in Lebanon who had come from Iran? The main obstacle to the dissemination of Iran’s revolutionary propaganda among Lebanon’s Shi’ites was removed with al-Sadr’s assassination. In 1982, after he was killed, it was the turn of the military organization he established. In the 1980s, Hezbollah waged a battle to wipe out the Amal Movement in an attempt to gain control over the Shi’ite community. Israel’s invasion of and prolonged stay in south Lebanon weakened the Amal Movement. Many young Shi’ites left the organization and joined the more extreme Hezbollah. In 1983, Hezbollah made its name as the leading Shi’ite terror organization following a massive attack in which a car bomb planted by the group killed 241 Americans at a marine base in Beirut. At the end of the 1980s, the Amal organization lost against Hezbollah on the battlefield and after a reconciliation deal initiated by Syria, the movement disbanded. Its fighters were integrated into the Lebanese army and the organization itself turned into a parliamentary party. 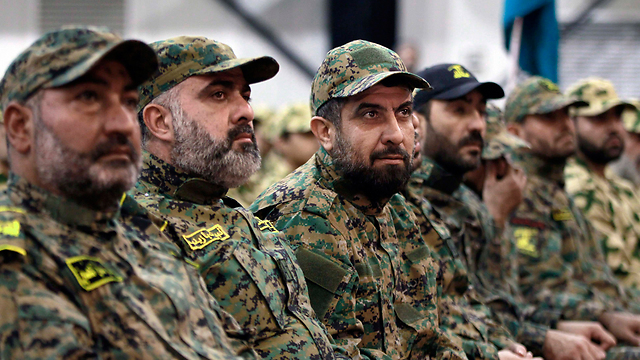 Hezbollah transformed from a small organization established by the Iranian Revolutionary Guards into an army of thousands of militants, funded and supported by Iran. The hostility towards the Amal Movement and its founder was blurred by Hezbollah propaganda. Al-Sadr, too, was turned into a Khomeini supporter and a member of the armed resistance against the “Zionist enemy” by the same propaganda. Could the revelations about the link between Iran and the murder of one of Lebanon’s Shi’ite leaders topple Hezbollah and stir an internal uprising? And could this happen after Lebanon’s Shi’ites have undergone three decades of brainwashing by Hezbollah and the Revolutionary Guards? One can assume that this new information about al-Sadr’s murder will in the short-term be seen purely as Saudi propaganda. In the long-term, however, should Hezbollah’s involvement in the Syrian civil war continue and if coffins keep arriving back in south Lebanon’s villages, protests will no doubt erupt. The Shi’ites will blame the Hezbollah leadership for dragging their community into the quagmire of the Syrian civil war. When the explosion comes, the genie of al-Sadr’s execution will be out of the bottle and the truth will be spoken loud and clear: Iran has exploited and continues to exploit Shi’ite Arabs in Lebanon, in Iraq, in Bahrain and in Yemen for their own political needs. Dr. Yaron Friedman, Ynet’s Arab world analyst, is a graduate of the Sorbonne University in Paris and a lecturer on Islam in the Department of Humanities and Arts at the Israel Institute of Technology (Technion), and at the University of Haifa’s History Department. His book, “The Nusayri Alawis: An Introduction to the Religion, History and Identity of the Leading Minority in Syria,” was published in 2010 by Brill-Leiden.